A very popular Gram flour sabzi dry version of Zunka. Pithla Besan is very simple and Instant recipe to make. This is a perfect last minute recipe. Those who like besan (Gram flour) like a perfect treat it's Tastes so good with roti ,Paratha .Very spicy, tasty and yummy!!! 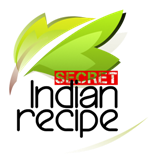 Sangeeta Vishwaroop's Secret Indian Recipe ! Take besan, red chili powder, turmeric powder and little salt in a mixing bowl. Add little water at a time and make a smooth paste of it.